When thinking about geology, people tend to think first about rocks. 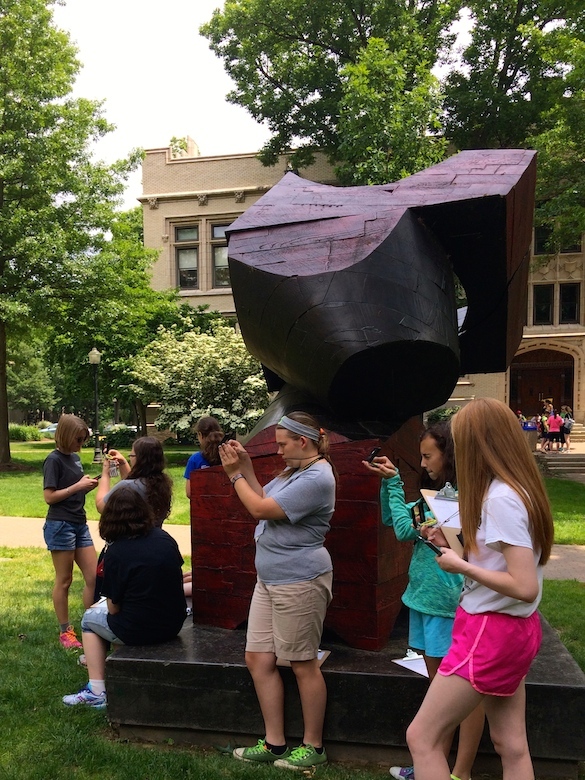 We do love our rocks, preferably pillow basalts, but when Wooster’s campus hosted hundreds of young women science enthusiasts, we wanted to teach them a practical field skill: pace and bearing. Buckeye Women In Science, Education, and Research, or B-WISER got the chance to learn and apply an important skill for geologists. This type of outreach is important because it reminds students that science is fun. 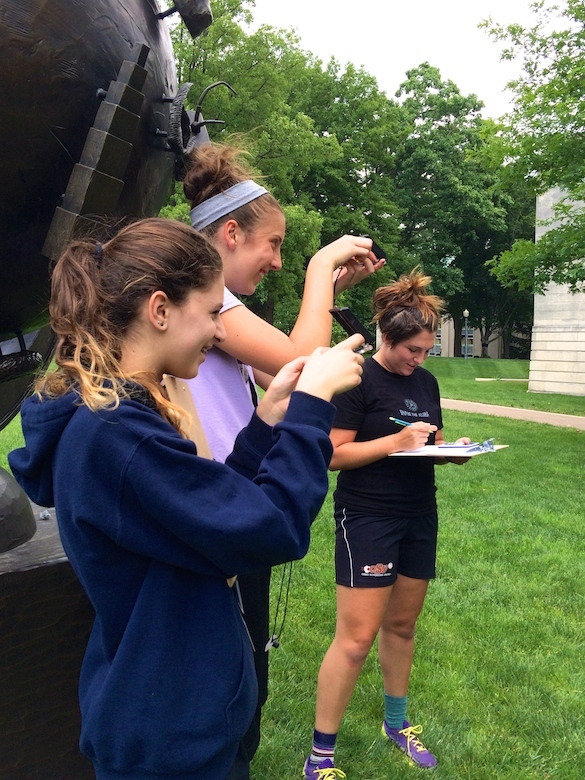 B-WISER girls focus intently on measuring distances on the academic quad with their paces. For five days, girls ranging in ages from 14-16 were engaged in different fields of science hosted by departments around campus. The geology department was fortunate to have over thirty girls participate in a variety of super-awesome orienteering activities for two days. Each of the girls was supplied with packets outlining the daily activity and a compass to help them orient themselves. Even poor weather could not damper spirits, and inside activities were met with laughter and good energy. By the end of the workshop, the budding geologists were able to make (and follow) their own scavenger hunt maps! Mary records bearing data from two young women geologists. 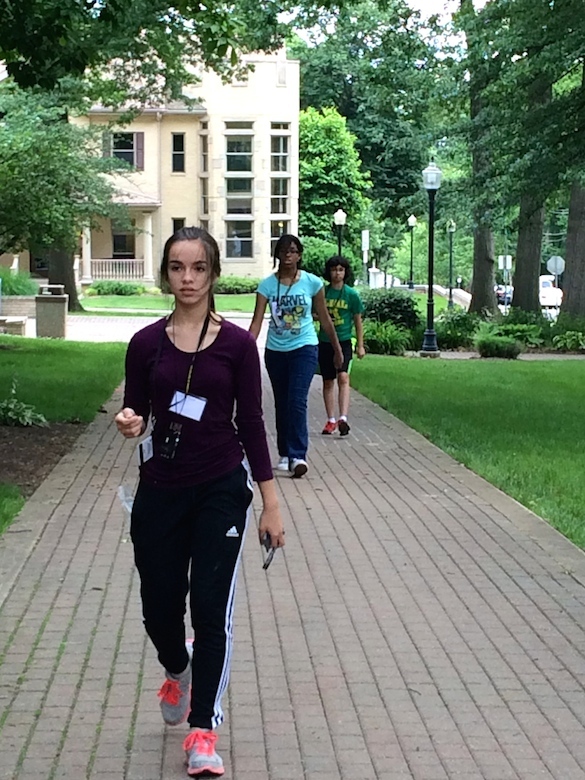 On the first day, students were taught how to take a compass bearing and orient themselves to pinpoint a location. They learned their pace and how to use it to calculate distance. Professor of all things geology, Dr. Meagen Pollock, along with her summer research students Chloe Wallace, Julia Franceschi, and Mary Reinthal, guided activities and often participated alongside the students.